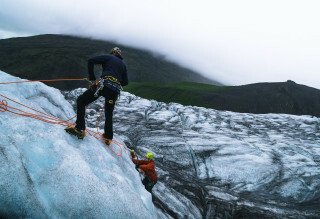 Stride across the icy expanse of the Vatnajokull Glacier and climb up frozen formations. 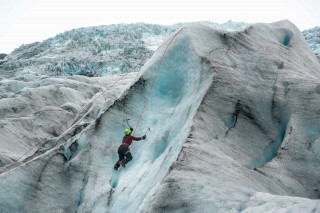 Hike and ice climb your way through Iceland's dazzling frosty landscape. Tours are available at 12:00 p.m. every day all year round. Guides take a maximum of 6 people. Larger groups are split among guides. Minimum age to participate is 12 years. No previous experience is necessary, but a decent level of fitness is required. What to bring? Warm clothes (first layer), waterproof clothes (second layer), gloves and a hat. Look for the trailer marked "Troll Expeditions"
If you're coming to Iceland looking for ice, look no further. 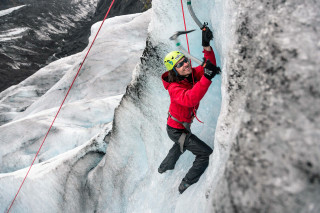 The ultimate frozen adventure can be found in none other than the largest glacier in Europe. 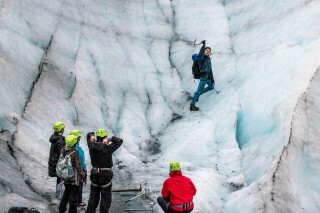 Glacier hike and ice climb your way across the Vatnajokull glacier for a thrilling journey. 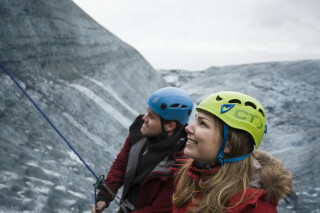 After your meet your certified glacier guide, you receive all the equipment for the trip. A short bus ride through the Vatnajokull National Park carries you through vivid green hills and rock. 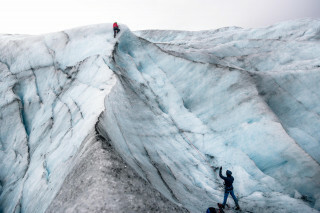 After a 15-minute walk, you arrive at the edge of the ice where the glacier extends beyond you. 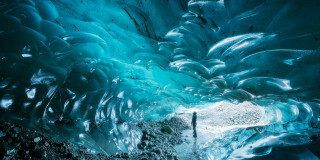 Set off across the glacier, where the huge sheets of ice make abstract patterns. Marvel at glacier below you and the ice-capped peaks of the mountains in the distance. 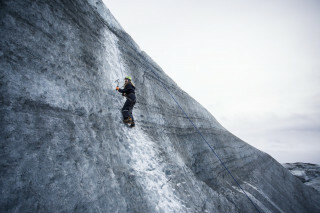 After a bit of discovering, your guide searches for an ideal climbing spot. 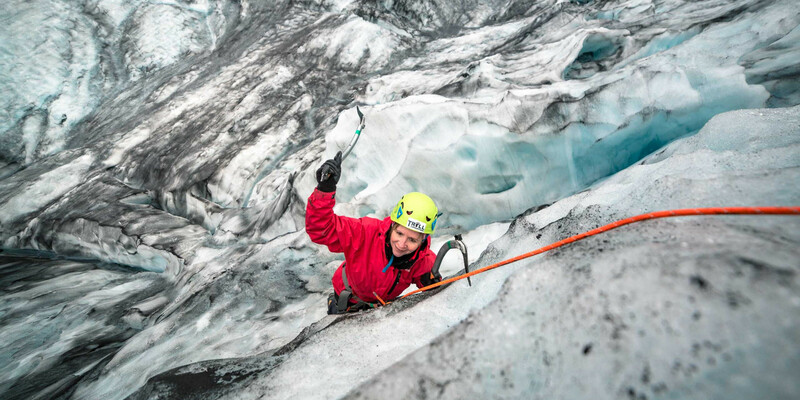 Since glaciers are always changing, the guide searches carefully for a new crevasse or moulin, a vertical opening in the ice, to set up the climbing base. 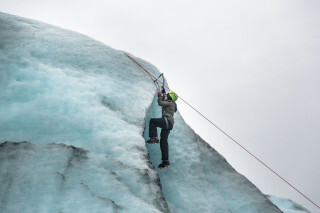 Take your ice axes in hand and climb along the walls of the glacier. 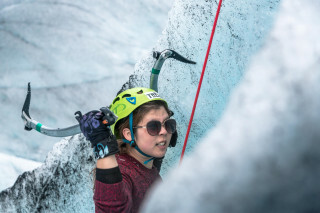 Even if you don't have any previous experience, only physical fitness and an adventurous attitude are required to join the fun. 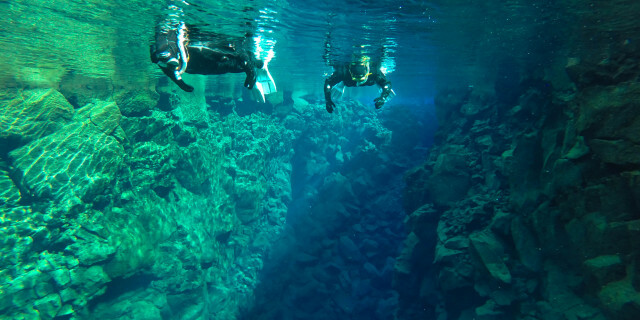 For 2.5-3 hours, you enjoy the beautiful tranquility and breathtaking views of the Vatnajokull National Park and glacier. 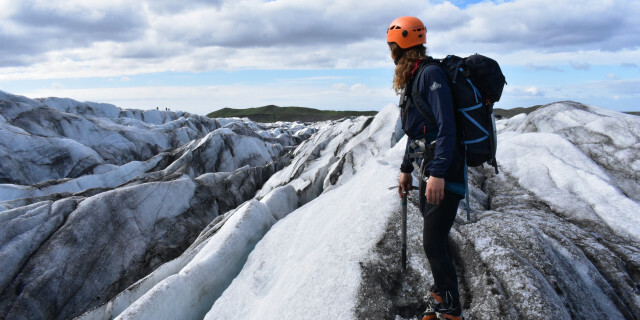 Learn about these magnificent landforms firsthand while you enjoy a thrilling excursion through Iceland's incredible frozen wonderland.